Her phenomenal physical condition notwithstanding, Bjørgen still experienced the same anatomical, physiological, and biomechanical changes during her pregnancy as non-athletes. For one thing, she gained weight — 13.8 kg— and her percentage of body fat increased from 12.8 per cent before she became pregnant to 20.4 per cent during the first week after her son’s birth. 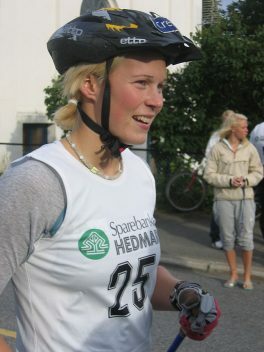 First of all, Bjørgen trained a total of 555 hours in 316 different training sessions during the course of her pregnancy, Solli said. Most of this training, 465 hours, was what researchers considered low-intensity training, or 60–82% of maximal heart rate. She trained just 2.2 hours at a high-intensity level, or at a heart rate that is greater than 92% of her max heart rate, and this only during the first five weeks of her pregnancy. Solli says that Bjørgen’s ability to train at such a high volume might partially be due to the different exercise modes that are involved in training for XC-skiing, which reduces the mechanical stress on the body compared to running. Another factor is likely due to her high pre-pregnancy training volume —roughly 940 hours per year.